The Oppo Reno launched in China a few days ago, and we’ve spent the last few days with the handset. The phone is available in two variants: the standard Oppo Reno and the Oppo Reno 10x Zoom Edition. We’re also expecting a 5G version of the 10x Zoom Edition during its global launch on April 24. Despite not having a presence in the U.S., Oppo is a company that’s hard to ignore. It has produced some of the most unique and eye-catching smartphones in the industry, such as last year’s Oppo Find X and the more recent Oppo F11 Pro. The Oppo Reno continues the company’s efforts in pushing the boundaries of smartphones. Alongside powerful specifications, the Oppo Reno 10x Zoom Edition offers a periscope camera, while both models feature a shark fin pop-up selfie camera that’s sure to turn heads. The standard Oppo Reno and Oppo Reno 10x Zoom Edition offer many of the same features and functionality that tie them together, but they’re separated by some key differentiators. One of the most notable differences can be found within the cameras. Both models have the same 48MP f/1.7 (Sony IMX586) main camera, but that’s the only rear sensor they have in common. A secondary 5MP depth sensor for portrait mode bokeh effects is paired with the 48MP primary on the standard Oppo Reno. Oppo swaps that out on the 10x Zoom Edition with two extra sensors of different focal lengths. There’s an 8MP wide-angle lens that offers a 120-degree field of view and a 13MP periscope telephoto lens. The telephoto lens is capable of 5x optical zoom and a 10x hybrid zoom similar to the Huawei P30 Pro. This is the same sensor that Oppo showcased in a prototype phone at MWC 2019. Optical image stabilization (OIS) is available on the 13MP periscope and 48MP camera on the 10x Zoom Edition, while the standard model lacks OIS entirely. In the short time that we’ve spent with the 10x Zoom Edition, 5x photos are crisp and clear with no signs of quality loss. Photos zoomed in at 10x are still impressively sharp. You will notice some slight fall off in detail, but overall the results are still great. Minimum focusing distance on the telephoto lens is quite long so it’s not a lens you should use on subjects that are close to you. Not only does the 10x Zoom Edition have more cameras, it also has more power. If you want the best that Oppo has to offer, the 10x Zoom Edition is the version to get. It has the Snapdragon 855, a 6.6-inch Full HD+ OLED display, and a massive 4,065 mAh battery. The standard Oppo Reno will get you a Snapdragon 710, a slightly smaller 6.4-inch display, and a 3,765 mAh battery. Both devices come in 6 and 8GB of RAM variants, feature VOOC 3.0 fast charging, and an optical in-display fingerprint sensor. In our limited testing, the in-display fingerprint sensor felt very fast, accurate, and reliable. We’ve used quite a few smartphones with in-screen fingerprint sensors and this one is by far the fastest that we’ve tried. It feels just as quick as a traditional sensor and isn’t frustrating to use. This is a good sign for the technology which so far hasn’t come out to a strong start. A 3.5mm headphone jack is one of the few upsides to the standard Oppo Reno over the 10x Zoom Edition. Unfortunately, this means you’ll have to settle for lower specifications and no telephoto zoom lens if you really want that port. Perhaps the most talked about feature on the Oppo Reno smartphones is the pop-up camera. With phones like the Find X and F11 Pro, Oppo is no stranger to pop-up selfie cameras but this one has a very intriguing design. Instead of a small square that pops up out of the phone, the Oppo Reno uses a wedge shape or shark fin. It’s much larger and spans most of the top edge of the phone. Oppo makes good use of the larger popup by incorporating the earpiece and rear flash. This means that the camera pops up when switching to the front camera or enabling the flash. Should you happen to drop the phone, Oppo has implemented a failsafe to automatically retract the shark fin. It will even retract if you toss the phone in your hand and catch it. Both models have the shark fin pop-up and the same 16MP f/2.0 camera. The main benefit to the pop-up mechanism is it removes the need for a notch or hole punch. This allows the Oppo Reno to have a completely uninterrupted display. The bezels surrounding the screen are also very thin. This makes way for an impressive 93.1 percent screen-to-body ratio. Both versions of the Oppo Reno have Oppo’s familiar design language that we’ve seen on previous devices like the F11 Pro and R17 Pro. Rounded corners and a tapered back glass creates for a modern and elegant look. Oppo’s signature crescent arcs that add to the device’s overall comfort can be found on the top and bottom edge of the phone. One design aesthetic that we appreciate the most is the rear cameras being completely flush with the back glass. It’s pretty rare to find a smartphone nowadays — especially a flagship — with flush camera modules. The phone looks sleeker and can lay flat on a table without wobbling. The standard Oppo Reno will be available in black, pink, purple, and aqua while the 10x Zoom Edition will be offered in black and aqua. Pricing for the standard Oppo Reno and Oppo Reno 10x Zoom Edition is as follows: the standard model starts at 2,999 yuan (~$447) for the 6GB+128GB model, 3,299 yuan (~$491) for the 6GB/256GB variant, and 3,599 yuan (~$536) for the 8GB/256GB option. The 10x zoom version will be available for 3,999 yuan (~$595) for the 6GB/128GB version, 4,499 yuan (~$670) for the 6GB/256GB model and 4,799 yuan (~$714) for the 8GB/256GB variant. We’ll update this to include Europe prices once the phones launch globally. What are your thoughts on the Oppo Reno and Oppo Reno 10x Zoom Edition? So far, we’ve been truly impressed and can’t wait to use the cameras more extensively. Let us know in the comments below! 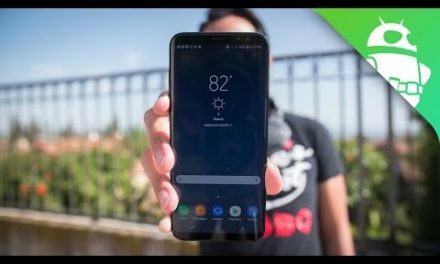 Samsung Galaxy S8 Plus International Giveaway!